← The pole’s just a pole, yo. One of my personal idiosyncrasies is that I find it extremely fulfilling to finish using something before I start using a new item. 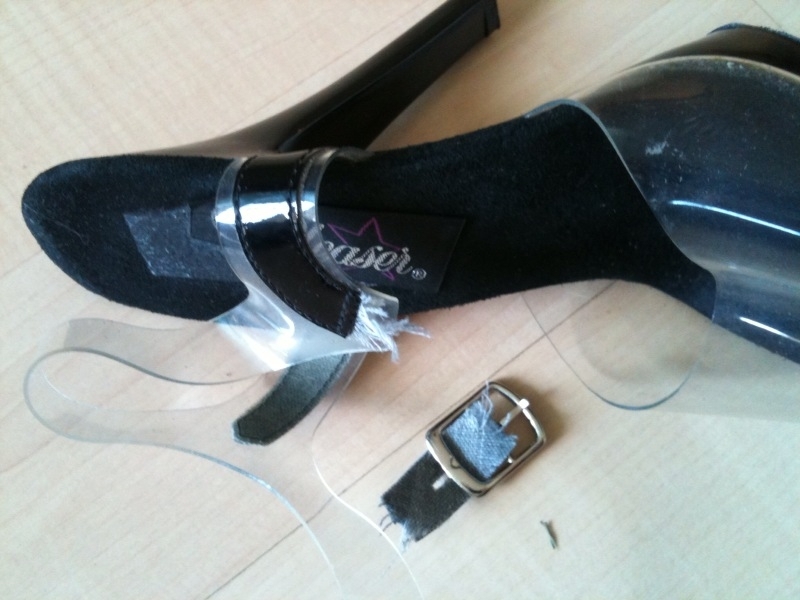 So when the ankle straps on my favourite black pole heels snapped off, I couldn’t bear to stop using them yet. Sure, I love buying new pole shoes as much as the next girl does, but I also can’t bear to get rid of a perfectly good pair of heels if there’s a way I can still use it. Fortunately I’m quite a DIY enthusiast. So I just sliced off the broken ankle straps, and wound some nice cheap ribbons up the heels, taped them on for security, and voila! My heels have a new look and a new lease of life, and now I’m quite pleased with myself. Plus the ribbons are super cute and make my ankles look like presents. Win-win! This entry was posted in I'm just saying.. and tagged DIY, frugal and fabulous, shoe customization. Bookmark the permalink. I’m with you on the consumables. My husband is forever opening a bag of snacks before the last one is completely empty – very wasteful. Also, cute heels! I like them better with the ribbon. Thanks! And I love finishing the last biscuit/ chocolate/ snack remnants so I can throw the empty pack away!